This wonderful cover case is also multi-functionally designed to act as a case and secure portable wallet. Watching a movie or video on your phone has been made easier with the cover case. Case easily opens like a book with a built in kickstand that lets you make hands-free video calls, read, or watch movies anywhere comfortably. Four corner protection by high quality soft TPU inner skin shell. Shock absorbent material. The automatic magnetic closure holds the wallet securely closed protecting your phone, credit cards, and cash. Quality stitching and strong PU leather is resistant to wear and tear. Case designed to fit Apple iPhone X 5.8 inch.Please take care when ordering to ensure you have the correct model. 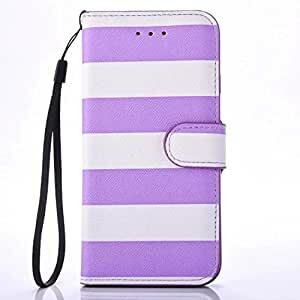 VITA Specialized in manufacturing mobile phone accessoriesThis case offers shock absorbance with extra protection that protects your phone from drops or unexpected accidents while keeping your phone clean and scratch-free. The precise openings give your phone full functionality while in the case with access to all the phone features such as top and side buttons, charger port and dock connectors, headphone jack, camera and speakers. If you are in the market for a heavy duty stylish case that offer maximum protection for your new cell phone, then this case is for you.